Bill Tyson passed away at 2:15 a.m. on February 18, 2017, at the Marjorie Willoughby Snowden Hopice house at the age of 86. 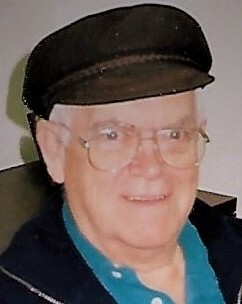 He is survived by his loving wife of 65 years, Yvonne; son, Bob (Wendy); daughter, Marie; grandchildren – Nicky, Kareen (Jay) and Carla (Brad); great-grandchildren, Owen and Tessa; step-great-grandchildren, Ty and Mae; sister-in-law, Margaret Goodwin; many nieces and nephews; and family in England. Predeceased by his mom and dad, Harry & Rose Tyson; brothers, Steve and Harry; sister-in-law, Elaine; and son-in-law, Gord Davis. Bill was raised in Cadomin, AB a coal mining town of 1800 (in it’s hey day) 70 minutes into the mountains from Edson. The family moved to Edmonton in 1945 where Bill met Yvonne at the Bay and they were soon married. Bill worked at Canada Packers as a foreman for 15 years. In 1973 Bill packed up his family and made the move from Edmonton to Vernon, BC where he worked as a meat cutter for SuperValue. Bill loved to fish and spent many happy hours in the cabin on Okanagan Lake. His other hobbies included: carpentry, leatherwork, wood carving, and needlepoint. Wanting to be closer to his children, a move to Kamloops happened in 2002. Bill and Yvonne lived at Cottonwood Manor for 11 years, getting involved with the community there and then moved to the Chartwell Residences in 2013. To honour Bill’s wishes, there will be no service. The family will hold a tea at a later date to celebrate his life. In lieu of flowers donations may be made to the Canadian Heart and Stroke Foundation or the Marjorie Willoughby Snowden Memorial Hospice House, 72 Whiteshield Cres. S., Kamloops BC, V2E 2S9.